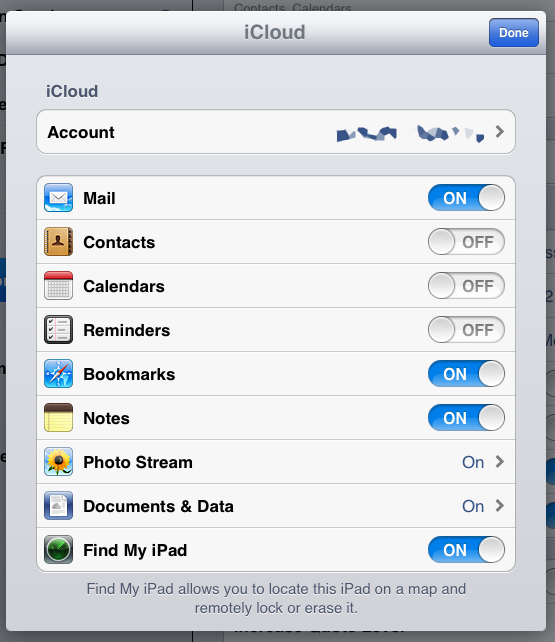 This article explains how to set up an iPad to synchronise correctly with a Gmail and Google account for calendar, email and contacts. 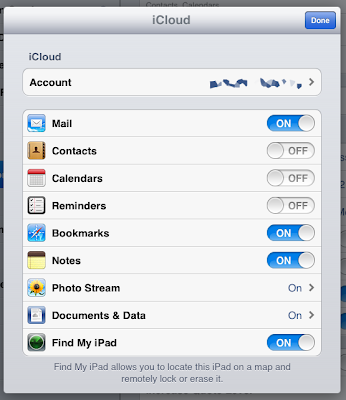 This method has been tested on my iPad 2 running iOS 5.1 and iOS 6, but it should work with the original and new iPad. It may also work with other iOS devices like the iPhone and iPod Touch, but I have not tested it on any of these devices. 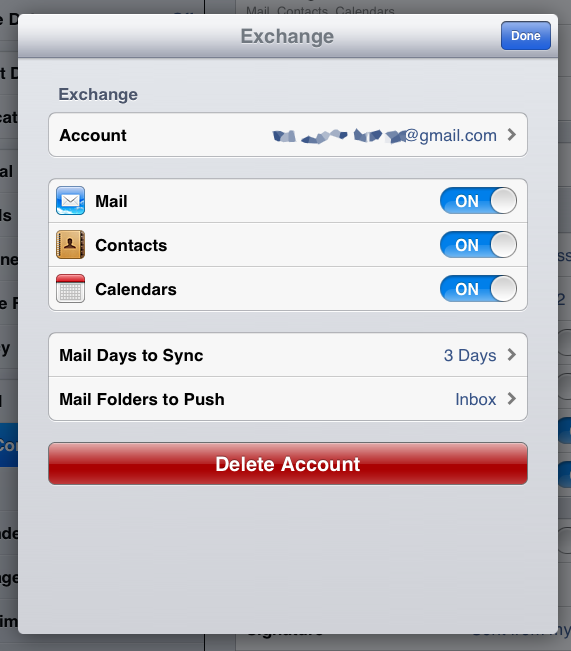 When you have completed this process the default iPad email app will use your Gmail account to send and receive mail (you will not need a separate Gmail app) with push notifications of new mail; your Gmail / Google contacts will appear in the default Contacts app and be accessible from the email app and your Google Calendar will appear in the iPad Calendar app. Any changes made to these on the iPad will be sent automatically to Google’s servers and appear on the web versions or on any phone also synchronised with it over the Internet. No cable connections are required. It all happens automatically. I use an HTC Android phone and changes made to the calendar or contacts on it or on my iPad copy over to each other. The secret to making this work is that you need to add your Google account to the iPad as a Microsoft Exchange account. It might surprise you to know that your Google Gmail account is exposed as an Exchange service, but Google do this to allow calendar and email compatibility for companies moving from Outlook to Google Docs for Business. Touch on the settings icon then “Mail, Contacts, Calendar”. Touch on the “done” button. Go to “Settings” and touch on “Mail, Contacts, Calendars”. Any others can either be ignored or set up as you require them. Any Gmail account listed should be deleted or disabled unless it is required for a different Google account as this method does away with the need for it and is more reliable. To do this Touch on each account in turn and set as follows. Note: You can choose to synchronise mail for longer periods if you wish, three days is just the default option. Touch on the Settings icon. Touch on “Mail, Contacts, Calendars”. 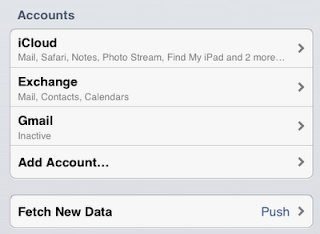 At the bottom of the right hand side you will see “Default Account”. I have been using these settings for months and it has worked perfectly. My iPad now synchronises with Google Calendar, GMail and Google Contacts on all my computers and my Android phone. I hope someone else finds this useful.